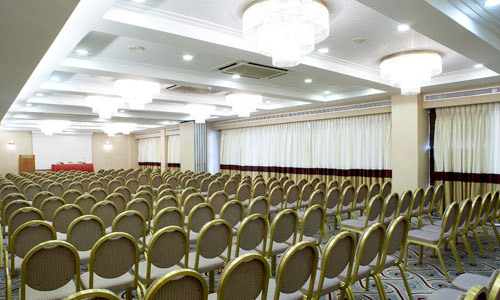 Athens Acropol Hotel is a first-class hotel ideally situated for visitors to Athens. The hotel has a welcoming atmosphere that emphasizes friendly and hospitable service. Convenient to the business district and many of Athens' attractions, Hotel Acropol is your natural choice for a place to stay in this vibrant city with great appeal and charm. Renowned for its archeological masterpieces, the city of Athens is at your fingertips from the Hotel Acropol. Visit the Acropolis, the sacred rock that has been the symbol of Athens for thousands of years. 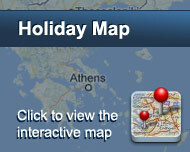 Athens Acropol Hotel has excellent facilities as well as comfortable guest rooms and public areas. The hotel offers elegant accommodation, impeccable service, fine dining and versatile meeting facilities. You will find each of the 167 rooms charming with its cozy and contemporary comfort. Organic tones dominate and create a space that belongs to you during your stay at the Acropol, in the heart of Athens. Είστε ιδιοκτήτης ή διευθυντής στο CLASSICAL ATHENS ACROPOL; Εγγραφείτε τώρα για δωρεάν εργαλεία, που μπορείτε να χρησιμοποιήσετε για να βελτιώσετε την καταχώρησή σας και να συνδέσετε την ιστοσελίδα σας και το σύστημα κρατήσεών σας.